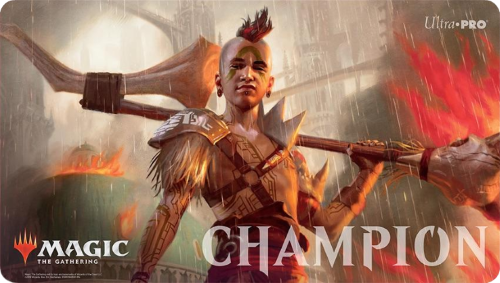 To celebrate all things Ravnica, local stores will be hosting Ravnica Weekend November 9-11. 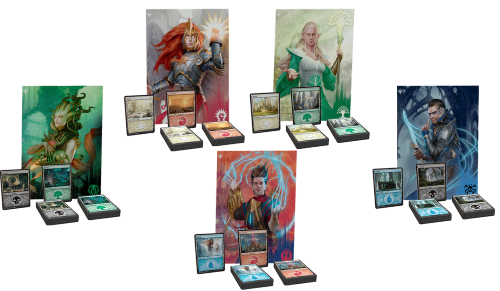 Players can come in and play four-pack Drafts, casual Guild Kit battles, and a special preview adventure from the Guildmaster’s Guide to Ravnica, the upcoming Magic/Dungeons & Dragons crossover book. Just for participating, you could get one of these 10 special guild-affiliated premium foil promo basic lands. Ravnica Allegiance: Domri, City Smasher playmat by Eric Deschamps.